In the wake of the global financial crisis, most of the discussion has been focused on questions of debt. And the response, almost uniformly, has been austerity and privatization: cuts to services that have been painted as forms of reckless spending by a bloated public sector. In Debt or Democracy, Mary Mellor turns the whole conversation upside down, showing that the important question is not who owes what, but who controls the creation and circulation of money in the first place. When the problem is examined from that angle, it becomes clear that privatization, far from being the answer to our problem, is the very source of it—the subordination of public finance to private interest. 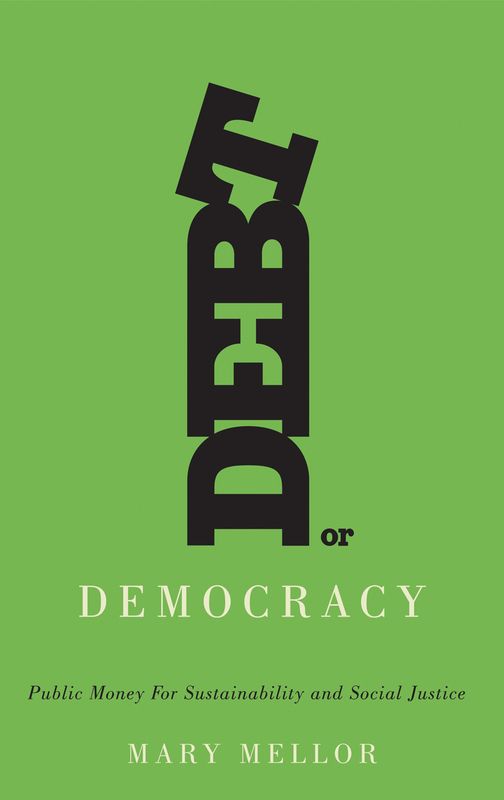 A direct challenge to conventional economic thinking, Debt or Democracy offers a bracing new analysis of our economic crisis and offers cogent, radical alternatives to create a more just and sustainable economic future. "An important book devoid of the jargon that often accompanies works on money and banking. Tightly packed and insightful, it reflects a deep and wide reading of the relevant literature yet is accessible enough that people without much background in economics will find it quite readable. Mellor shreds the conventional financial ideology that while consumers are encouraged to take on debt, governments must avoid debt like the plague. The resulting starvation of important government policies leads to slow growth and human suffering. No short review can capture the depth and importance of this valuable book. Essential."